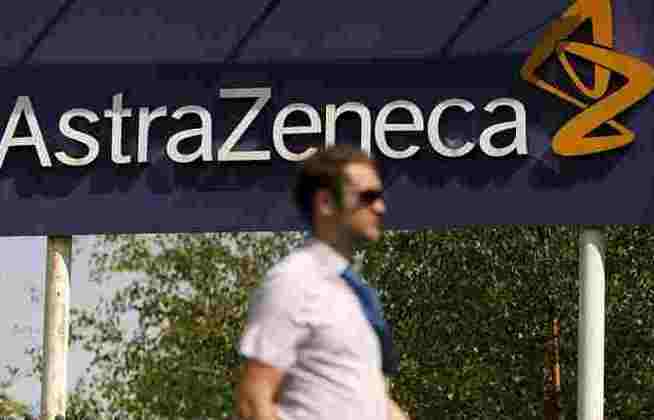 AstraZeneca Plc agreed to pay up to $6.9 billion for a piece of a promising cancer treatment in its biggest deal in over a decade as it aims to become a global oncology powerhouse. AstraZeneca will pay the Japanese drugmaker Daiichi Sankyo Co. $1.35 billion upfront to jointly develop and commercialize the cancer therapy trastuzumab deruxtecan, with as much as $5.6 billion in additional payments subject to sales milestones and other contingencies, the companies said late Thursday. They will also equally split development and commercialization costs. The Cambridge, U.K.-based company said it will fund the transaction partly through a share sale of up to $3.5 billion. Daiichi Sankyo shares surged 16 per cent -- the stock’s daily limit -- to an all-time high in early Tokyo trading Friday. The deal is AstraZeneca’s boldest bet yet under Chief Executive Officer Pascal Soriot’s mission to make the company a force in oncology that can contend with the likes of Merck & Co. Since he took over in 2012, the company has phased out aging treatments and built a war chest for cancer-related research. The Daiichi deal is a significant vote of confidence in a therapy that has not yet been approved for patients, but has the potential to redefine breast cancer treatment. “We believe that trastuzumab deruxtecan could become a transformative new medicine for the treatment of HER2 positive breast and gastric cancers,” said Soriot in a statement. Bloomberg News reported earlier that AstraZeneca was considering a share sale as it seeks to strengthen drug investments and its balance sheet. Pharmaceutical companies often team up with partners on expensive new drug investments to share both the risk and financial commitment. AstraZeneca said the transaction won’t impact earnings this year but will make a “significant contribution” by 2023. Daiichi said the partnership will add to shareholder value over the medium to long term. Goldman Sachs Group and Morgan Stanley are acting as joint global coordinators and joint bookrunners for AstraZeneca’s $3.5 billion share sale. It plans to place new ordinary shares in the company with both existing and new institutional investors. If the full potential payment of $6.9 billion is released to the Japanese drugmaker, it would be AstraZeneca’s biggest deal in 12 years. The British pharmaceutical paid about $15 billion for its 2007 acquisition of biologics maker Medimmune LLC. For the Japanese firm, the tie-up is its biggest licensing deal ever, said Stuart Mackey, Daiichi’s head of global business development. Daiichi and AstraZeneca will equally share global profits from trastuzumab deruxtecan, with Daiichi Sankyo maintaining exclusive rights in Japan. Daiichi expects to book sales in U.S. and parts of Europe, while AstraZeneca is expected to book sales in other markets including China, Australia, Canada and Russia, said the companies. The treatment received a breakthrough therapy designation from the U.S. Food and Drug Administration in 2017, a status which is given in instances where there is no current medicine for the condition the drug is aimed at. Daiichi said it would speed up its application to the FDA to the first half of this year. On average, the FDA takes about 10 months to decide on therapies with the breakthrough designation, said Daiichi’s global head of oncology research and development Antoine Yver, meaning that it could reach patients by as early as the first half of 2020. This is not the first time the two companies have been linked. Local media in Japan reported in 2017 that AstraZeneca had made an unsuccessful takeover bid for Daiichi a year earlier, as it sought access to the company’s cancer portfolio. Daiichi denied the reports. In 2015, the two announced a commercialization agreement in the U.S. for Movantik, an oral medication for treating opioid-induced constipation in adults with chronic pain.